The Learning Alliance for Bioscience (LAB Program) is a Career Pathway program that puts young learners on a path to success that starts in high school, leads to college, and ultimately to excellent job opportunities in the biotechnology industry. Students begin the program in high school by taking core classes in biotechnology, having the opportunity to earn college credit while completing high school graduation requirements. The LAB program allows high school students to get a head start in a community college biotechnology program, without having to pay for tuition or books. Students in the LAB Program are eligible to participate in a Summer Bridge program at Ohlone, a two week hands-on laboratory experience at our Newark campus that allows students to earn two units of college credit. 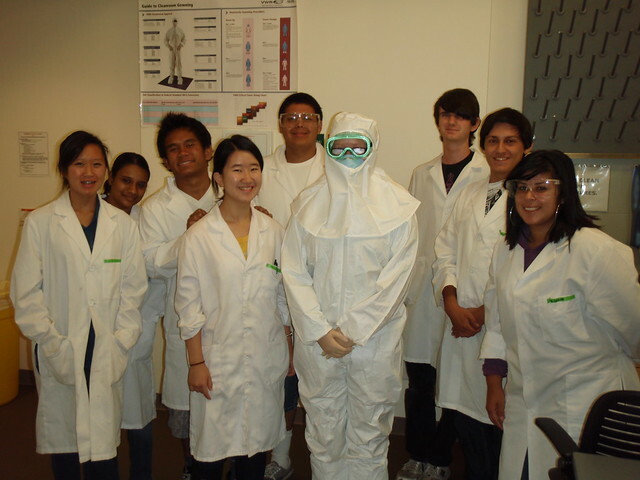 Ohlone's LAB Program partners include American High School, Castro Valley High School, Amador Valley High School, Dougherty Valley High School, Monte Vista High School, Mountain House High School, Arroyo High School, Santa Clara High School, Enochs High School, Mission Valley ROP, Irvington High School, and more. For more information about this program, contact LAB Program coordinator Dr. Laurie Issel-Tarver, lisseltarver@ohlone.edu.